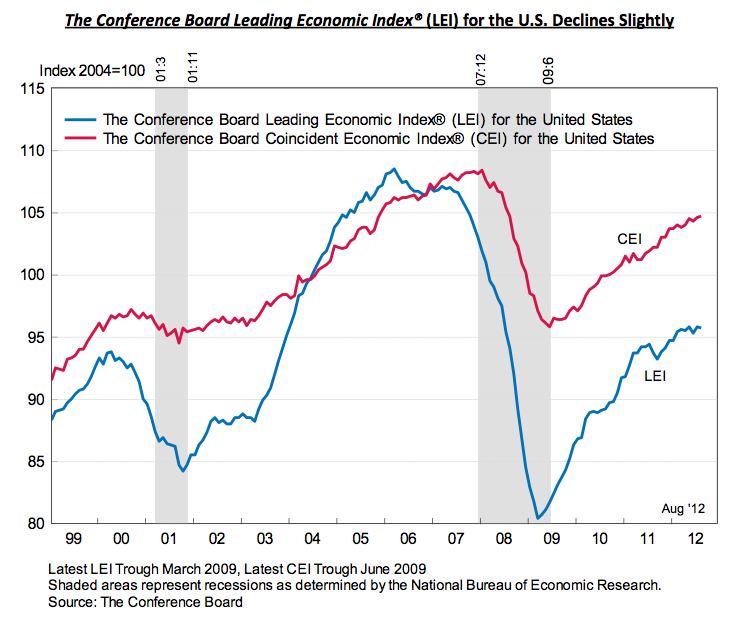 The Leading Economic Indicators declined slightly for August. The 0.1% decline was slightly worse than the flat line expected. More concerning is that the LEI has declined in three of the last six months leading to only slight growth over that period. 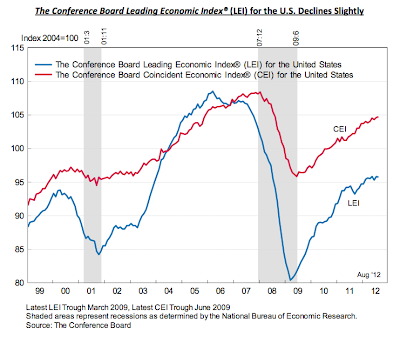 This indicator has been very bullish during the recovery from the 2008 economic lows. Now it is starting to show some cracks that investors should pay attention to. Strong stock prices and interest rate spreads will hopefully push into the labor force pushing up the weekly labor numbers. The below chart from the Conference Board shows the historical numbers for the report. Very notable is the depth of the collapse and the relatively weak rebound so far. The LEI has only rebounded about half way from the peak in 2005.